Last week, we began to draw on the children’s interests to inspire some purposeful writing in the context of play. 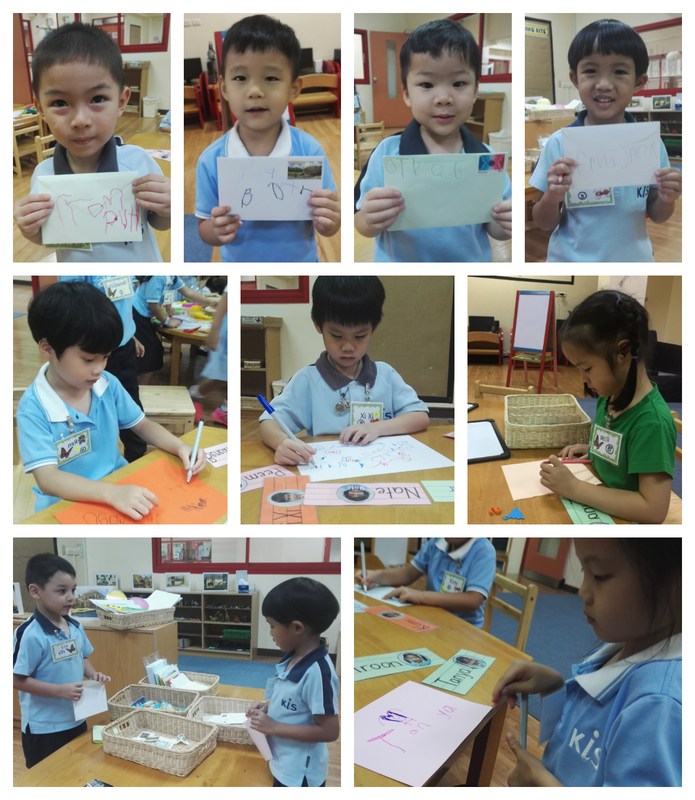 We observed that some children were eager to make drawings for their friends, so we decided to make our very own post office to motivate even more letter writing. 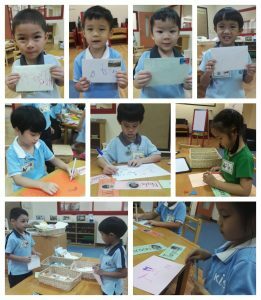 The children are learning to write the words “to” and “from” as well as their classmates’ names using models, so that the mail carrier will be able to deliver the letters. They might also add to their message with invented spellings and pictures. The post office has fancy envelopes, stamps, and a mailbox too, so everyone is excited to visit. The mail carrier will deliver the week’s mail each Friday, so look out for letters from friends coming home. Some children are writing letters to family members as well, so if you are one of the lucky recipients, it would be great if you could write back – just pop your note into our mailbox; everyone loves to get mail! We also noticed that many children like to role play restaurant and family scenarios, which offer more opportunities for purposeful writing. 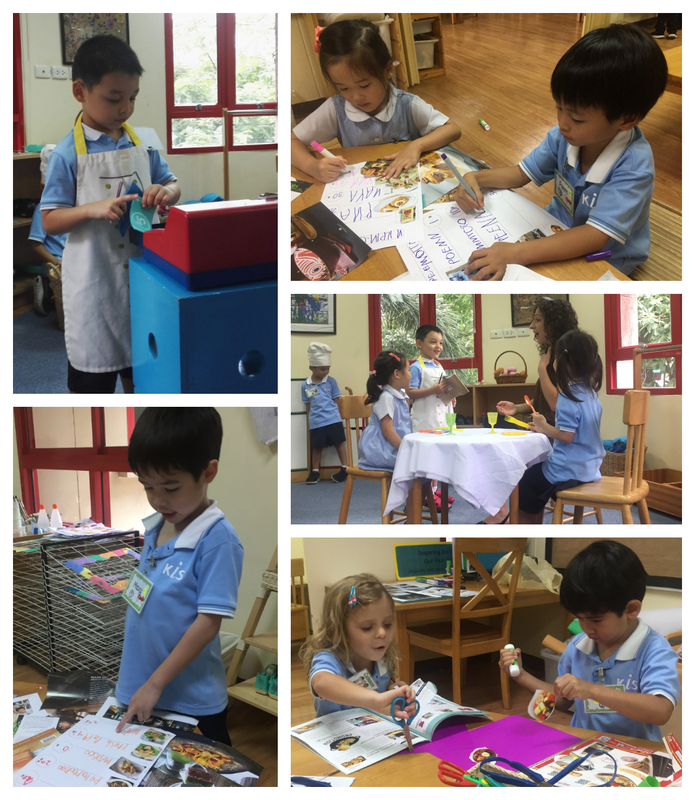 In the dramatic play centre, we are gradually building a restaurant for role play, where the ‘waiters’ use notepads to write down orders, and we practice social skills with ‘please’s and ‘thank you’s. Many children have also made menus, by cutting out and gluing pictures of food, labeling them with invented spellings and adding prices. On Wednesday, we met our Reading Buddies for the first time! 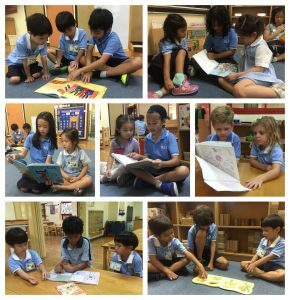 Our Reading Buddies are Grade 3 students who are each paired up with one or two of our little people, and will be visiting us each week. The big buddies brought books to share with us, stirring up lots of enthusiasm for reading. We can’t wait to see them again next Wednesday!